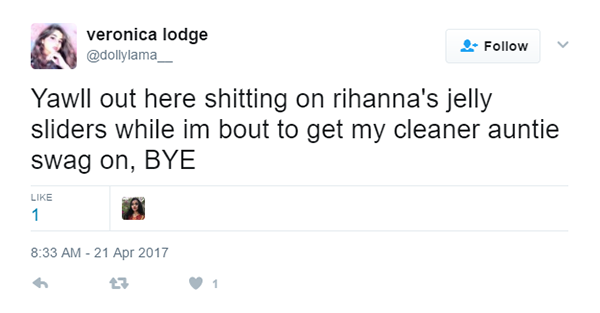 Fashion sweetheart, Rihanna, is back at it again. 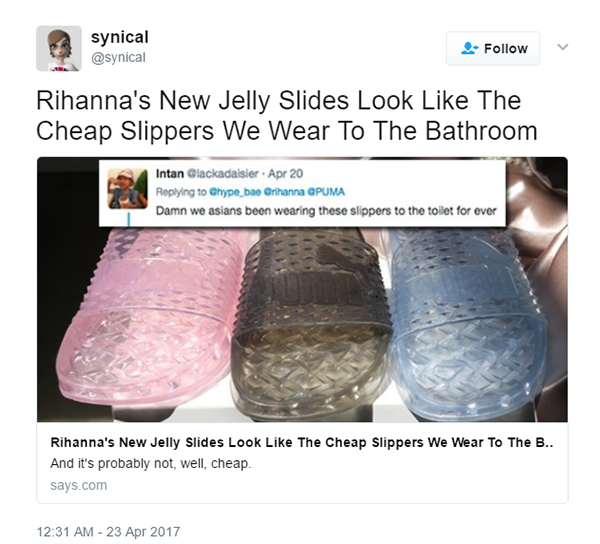 Her recent collaboration with PUMA has brought us some sensational satin sneakers and slides—but it seems even Riri has her fashion flop moments aka her new line of sliders that has left us feeling conflicted. Taking a cue from Balenciaga’s iconic Blanket Bag and Ikea Bag, it’s no surprise to see another fashion venture follow suit. What we Asians describe as the ‘toilet slipper’ from the dollar shop can now pass off as a S$125.35 BadgirlRiRi slider that will make any shower experience more atas. 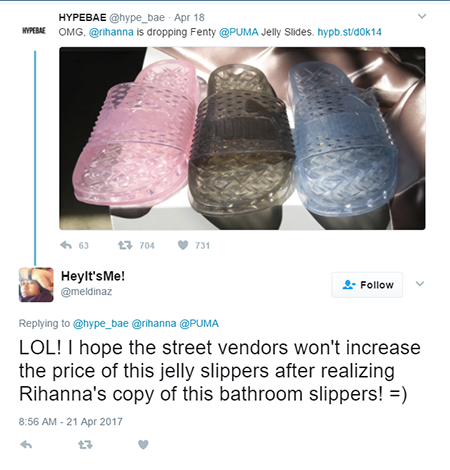 And of course, let’s not forget how the newest addition to Rihanna’s Fenty X PUMA line has stirred some controversy in the Twitterverse. Love ‘em or hate ‘em, all we can say is, we hope these branded jelly slippers can live up to our beloved bathroom slippers’ standards for all #aunties in Asia.